Many people’s lives revolve around food, entertaining, and sitting down to a wonderful nightly family dinner. 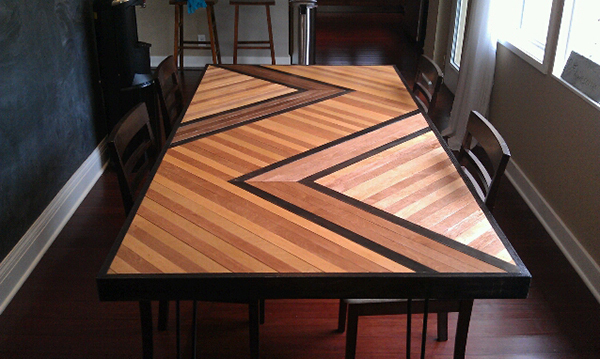 So why should your dining table, the hub of your home, be anything less than amazing? 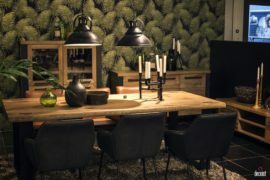 While purchasing or upgrading your dining table can get very pricey in the store, there are so many amazing DIY ideas out there for stylish, inexpensive and unique dining tables. 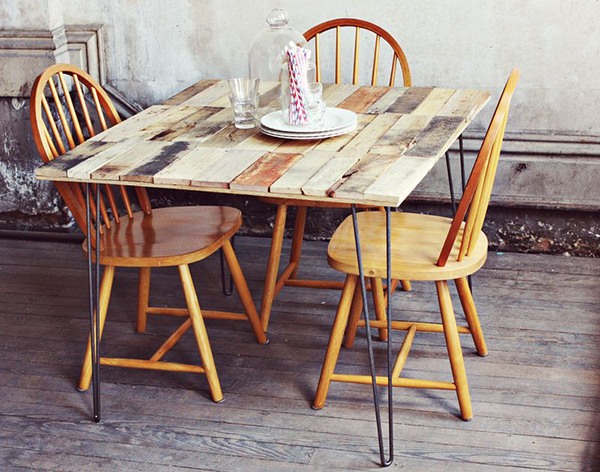 So without further ado, here are 11 DIY dining tables that will have you dining in style! 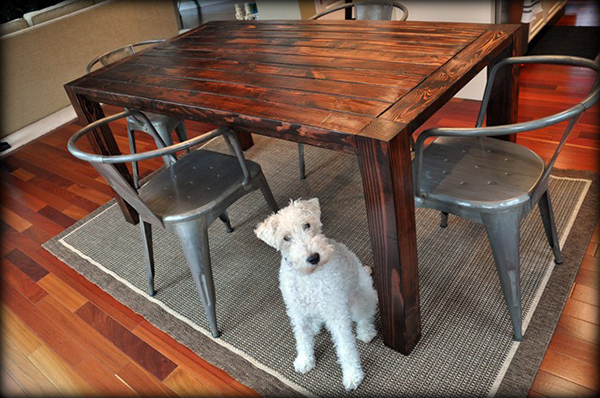 Our first DIY dining table and Ike, the adorable pup sitting next it, are both show-stoppers! Handcrafted by Decor and the Dog and inspired by a plan by Ana White, this stunning farmhouse table was made with stud-grade whitewood for a rustic charm. Are you a total beginner? 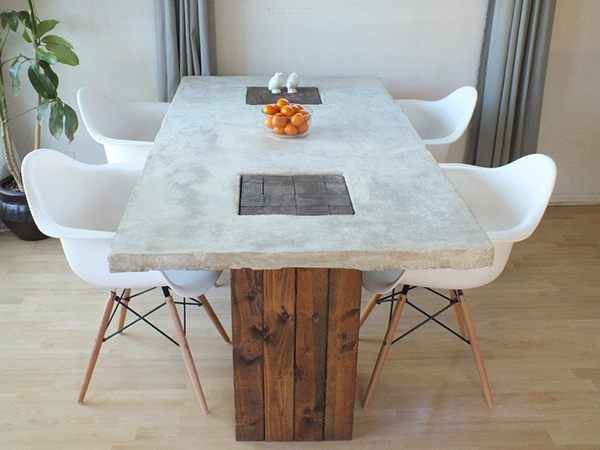 Well, then the next beautiful DIY dining table, by Creature Comforts, is definitely the one for you! Built by simply attaching several 2 x 8 boards (cut to 6 feet) together and adding some legs, this gorgeous gray-stained table has a simplistic beauty that will bring character to your space. Our next DIY table isn’t exactly for beginners. 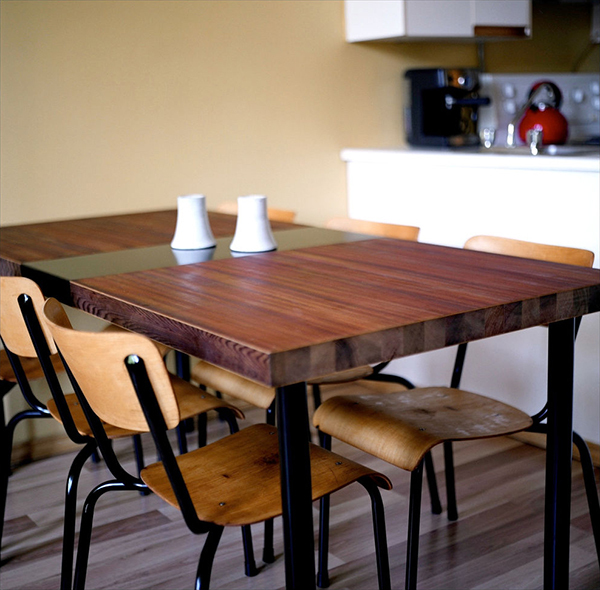 If you are feeling ambitious, try this incredible DIY dining table by DIY-My-Homes, made with plywood, time, and a whole lot of patience! Seriously, have you ever seen something so beautiful in your life?! Oh wait, here’s another one of their tables that is equally as breathtaking. As a DIY fanatic, I always love seeing projects that utilize the existing space very well. 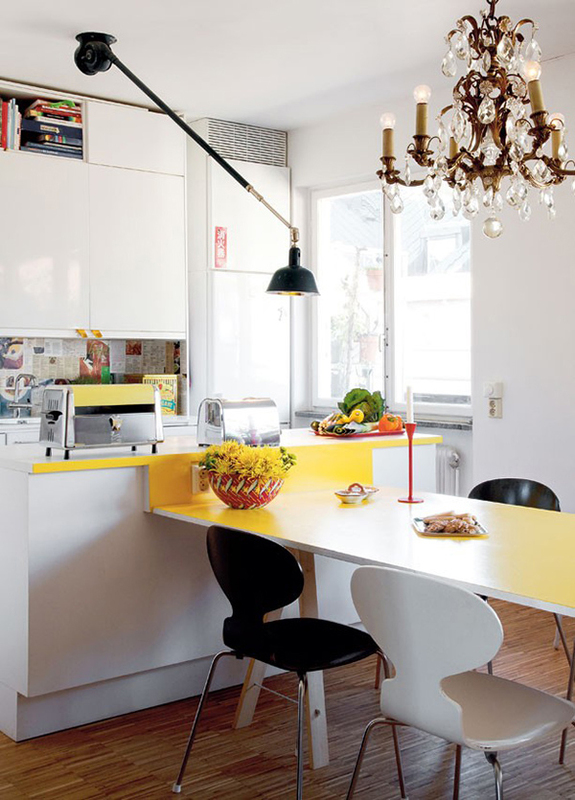 Have a small kitchen island and only a small amount of space to work with? Try extending your kitchen island by attaching some plywood or lumber, adding legs, and painting it a fun color like this DIY project, originally from Mixr.se and featured on Trendir. I love that they also painted the side of the island’s countertop to seamlessly tie everything together! Rather than build an entire dining table from scratch, why not re-purpose an object you have hanging out in your basement or garage? Our next DIY dining table, posted on Instructables by Julien Thibeault, was made out of a old reclaimed wood door wrapped in a sheet of metal. He added some Ikea table legs, oil, and stain to complete the sleek, chic look. 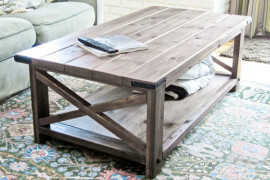 If you are lucky enough to have a few reclaimed beams salvaged from a previous home or remodel, this table, by This Old House, would be perfect for you! 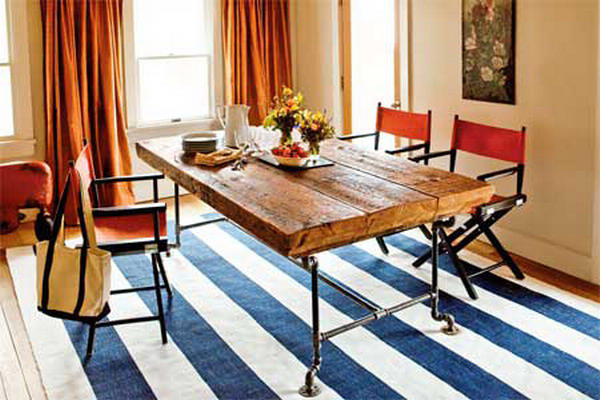 The reclaimed beams are cut to size to form the table top, which is supported by a base constructed using 3/4″ gas piping. One of the easiest items to re-purpose into a dining table (or anything for that matter!) is a shipping pallet. 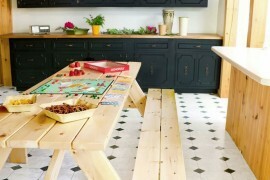 Our first DIY dining table by ScrapHacker was built by adding a few boards over the top of the sipping pallet for a smooth tabletop and attaching some IKEA legs. 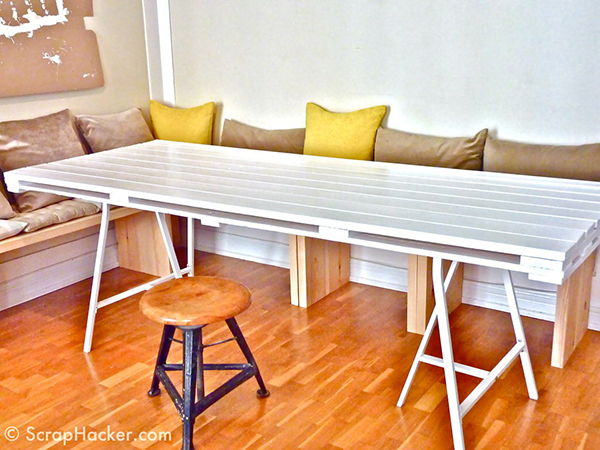 With a fresh coat of white paint, this awesome DIY dining table looks good enough to eat… on. 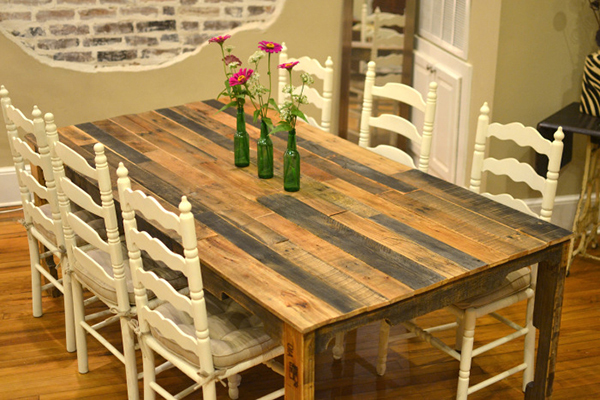 The next DIY dining table was made by disassembling six oak pallets and using the wood to construct a table. By maintaining the architecture and rustic quirkiness of the pallets, Little Paths So Startled created something incredibly lovely and artistic out of objects with such humble beginnings. 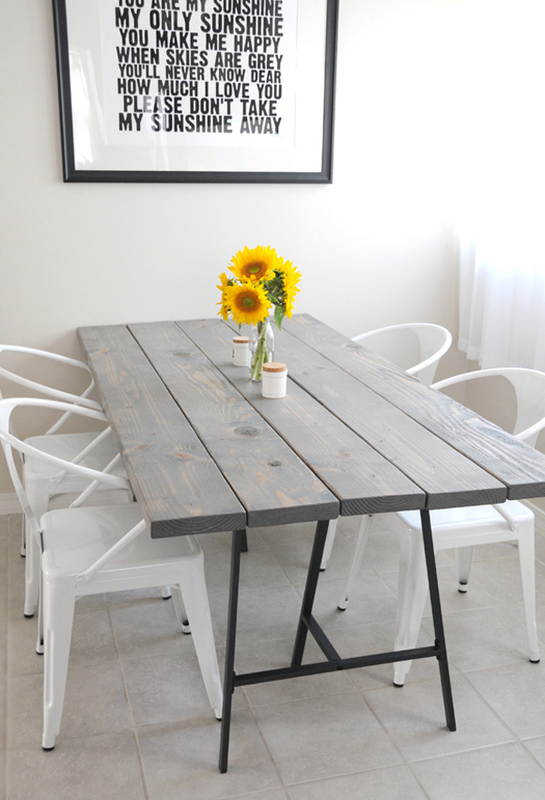 Another DIY pallet dining table worth drooling over is this one, made by A Beautiful Mess! Crafted by cutting the pallet slats to a uniform size, attaching them to a piece of plywood, and adding some super attractive hairpin legs, this table radiates an amazing vintage, rustic vibe! All of these tables are all incredible, but what if you don’t want an all-wood table? Our next table, featured on Osbourne Wood Products, might be made of pine, but it features a magnificent tile center that steals the show and all of the attention! How lovely are those tiles?! 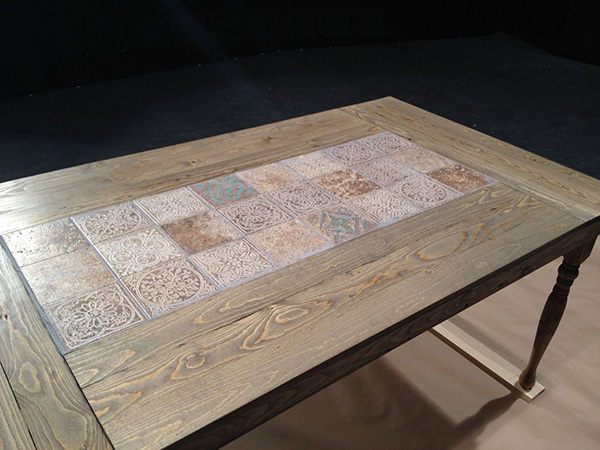 Just think of all of the possibilities for tiling your own custom dining table! 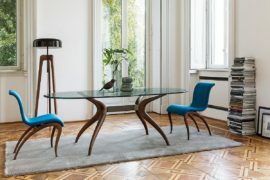 Last but not lease, this sensational table, designed by Designer Eco, boasts a poured concrete top and a chunky base made of several wood posts. Find some friends to lift the tabletop onto the base, and you will have a gorgeous one-of-a-kind statement piece in your dining area! 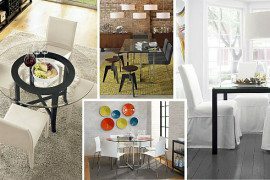 The best part of these DIY dining table projects is that you could mix and match ideas for your space (i.e. loving the base from one table but using the tabletop idea from another!). 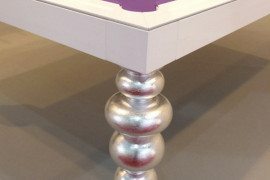 All of these eye-catching tables make me want to go upgrade our kitchen table immediately! 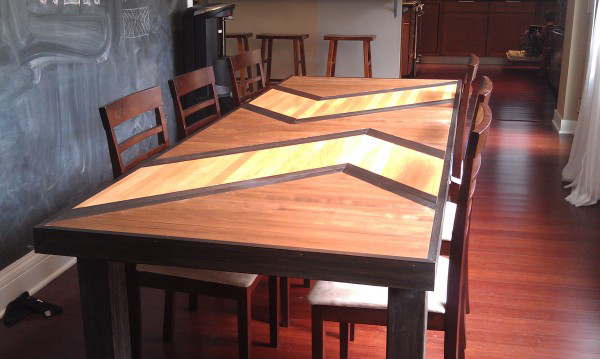 Do you have any amazing DIY dining table ideas? Please share them with us in the comments section below!